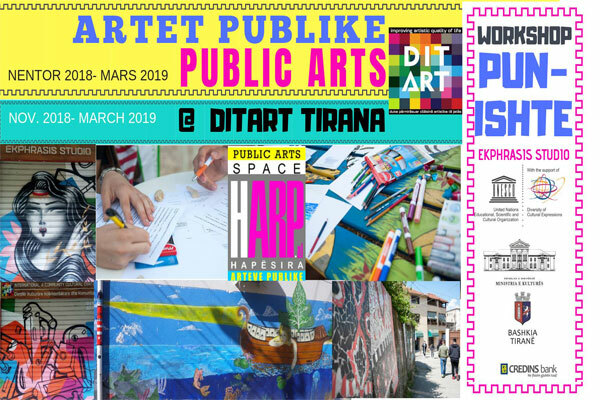 Starting from November 2018 to March 2019, every Thursday 4-8 pm and Saturdays 10am to 2pm, switch from Ditart to learn more about Public Space Arts, the digital map for public arts, research in this area, fill in the questionnaires, and give your opinion. See video from the world, and draw the art you like. Children are welcome.